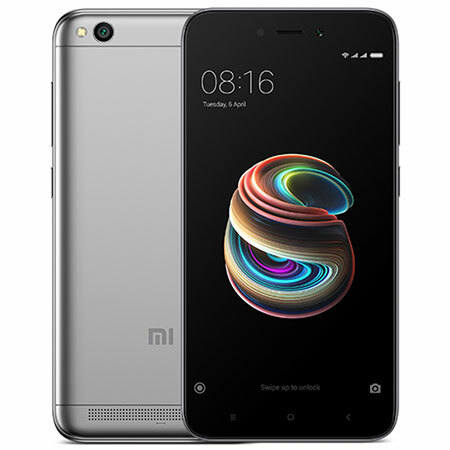 The Xiaomi Redmi 5A boasts of a beautiful fully-laminated 5.0-inch HD IPS LCD display comes with a 295 PPI pixel density, 1080×1920 pixels and a 70.0% screen-to-body ratio. The handy Reading mode which protects your vision and reduces eye fatigue by filtering out the blue light. The sleek design of the Redmi 5A offers a microUSB port on the bottom of the device, a 3.5 mm headphone jack, microphone and an IR blaster on the top of the device. Enjoy work and play with the two SIM trays on the top left side of the smartphone for dual sim capabilities. Store more on the go thanks to the expandable storage capabilities (up to 256 GB) of the dedicated microSD card slot. Capture gorgeous group photos and scenic shots with the fast focusing 13MP camera that helps you capture sharp and crisp photos. A f/2.2 aperture, Phase Detection Autofocus and LED flash will help you create high end snaps and you’ll be able to shoot full 1080p HD videos at 30fps on the go. Take that perfect selfies and enjoy bright and vivid video calls on a 5 megapixel front facing camera with f/2.0 aperture. This handset is covered by a full 12 month warranty.